The benefit of implementing HTTP/2 on your web server is the quicker serving of files due to compression and a reduction in the number of connections opened from the browser. 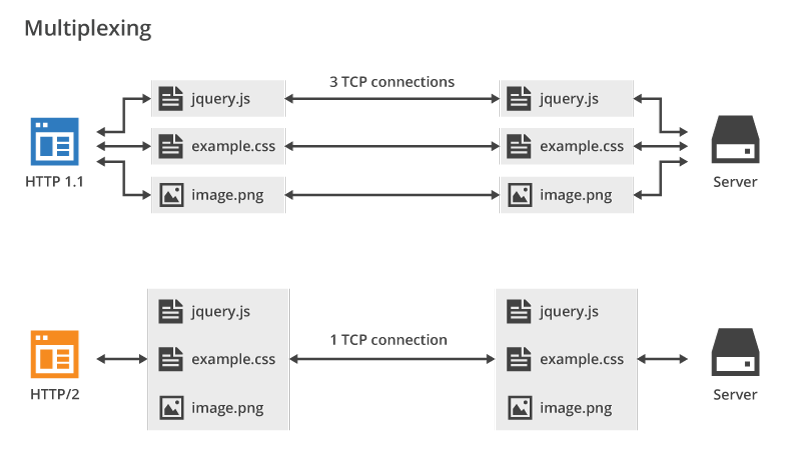 On real world sites using lots of images and multiple origins, HTTP/2 can shave seconds off a load time! HTTP/2 is currently supported by most current web browsers in use, and the proportion of support for HTTP/2 in browsers grows by several percentage points per month. Due to the confusion with respect to browser support, many visitors to our website ask if HTTP/2 can be enabled on their web server by the purchase of a SSL/TLS certificate. The HTTP/2 specification does not require the use of SSL/TLS certificates. Most major web browsers only support HTTP/2 calls over SSL/TLS. Implementation of HTTP/2 over SSL/TLS requires a stricter TLS setup. Since most web browsers only make HTTP/2 connections over TLS, websites that want HTTP/2 enabled must do it over strict HTTPS guidelines to serve users.